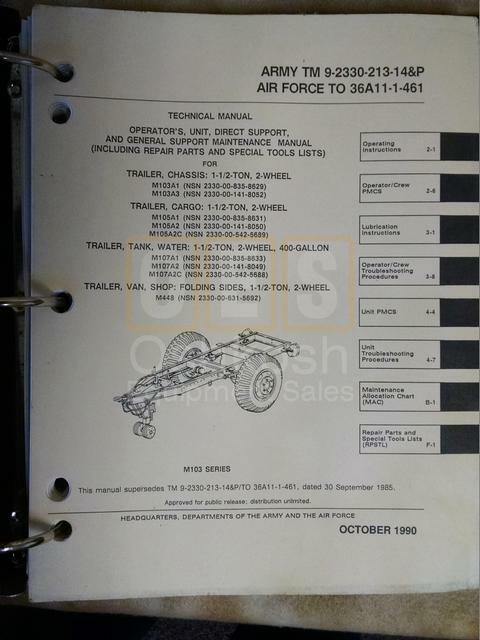 We have many different military equipment manuals available in digital form. Please contact us to request a CD of your desired manuals. 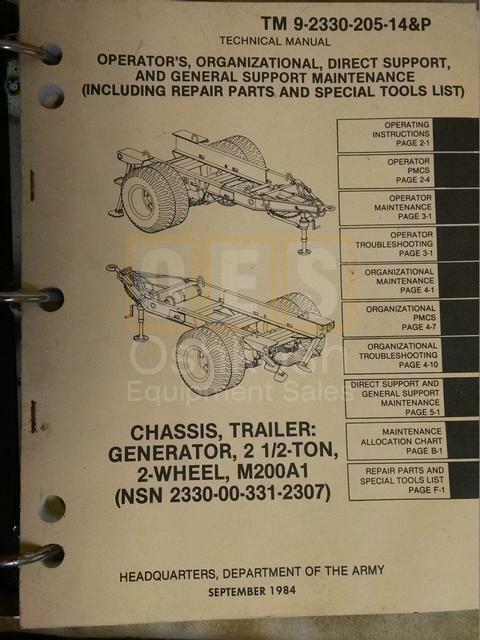 Technical Manual for M200A1 Chassis Generator Trailer NSN 2330-00-331-2307. 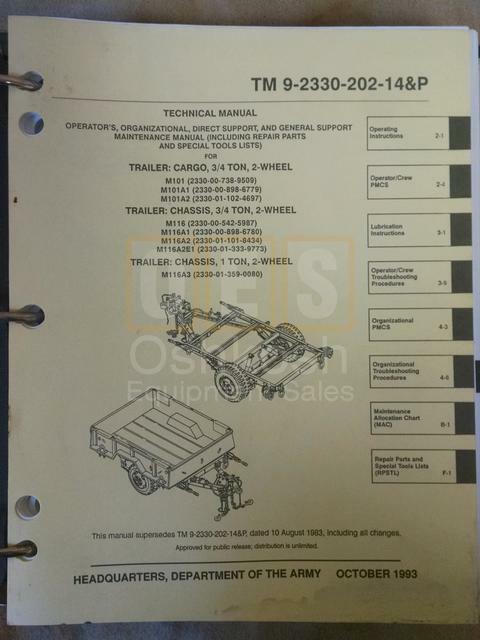 Technical Operator and Support Manual for M103 Series Trailers. 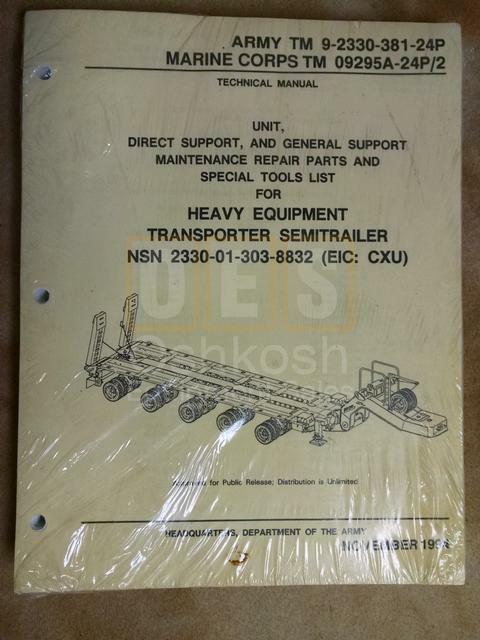 Technical Parts Manual for M1000 70 Ton Heavy Equipment Transporter Trailer NSN: 2330-01-303-8832.